C2C 2016 artist Kacey Musgraves will appear on the 2015 Royal Variety Performance at the Royal Albert Hall in London! The show will be filmed on 13 November, and will be broadcast in December on ITV. 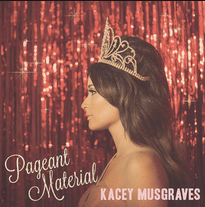 Kacey will be touring in the UK during November, and is set to perform her own show at the Royal Albert Hall just 5 days later, on 18 November. The exact date of the broadcast will be announced nearer the time.